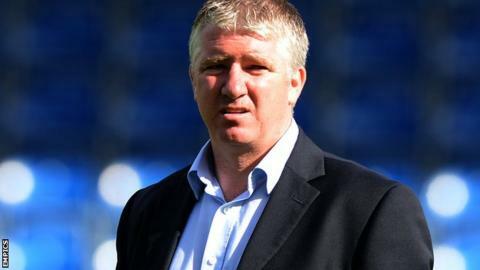 Torquay United boss Martin Ling has praised his team's sprit after they came from 3-0 down to on Tuesday night. Rene Howe got a last-minute winner after second-half strikes from Billy Bodin, Ryan Jarvis and Ashley Yeoman. "The second half was scintillating for us," Ling told BBC Radio Devon. "What we've got to take from tonight sending everyone away happy and the character in Torquay's dressing room is certainly one to be proud of." The victory was the Gulls' third league win of the season and the first in three games as Yeoman scored his first ever goal for Torquay in only his fourth appearance as a substitute. "It's the first time it's ever happened in my managerial career where we've been 3-0 down and looked so much out of the game and won it 4-3," Ling added. "We've not had a lot of wins so far this season and they were asked an awful lot of questions tonight and came up with some big answers."